Start and end in Levoca! 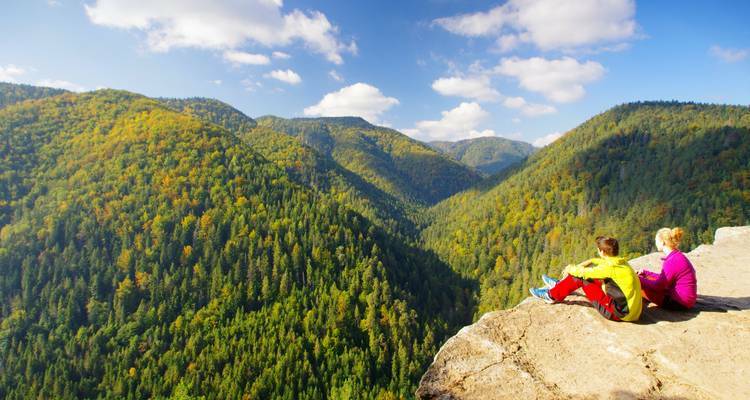 With the self-guided tour Hiking the Canyons of Slovak Paradise - Self-Guided, you have a 7 day tour package taking you through Levoca, Slovakia and 6 other destinations in Slovakia. 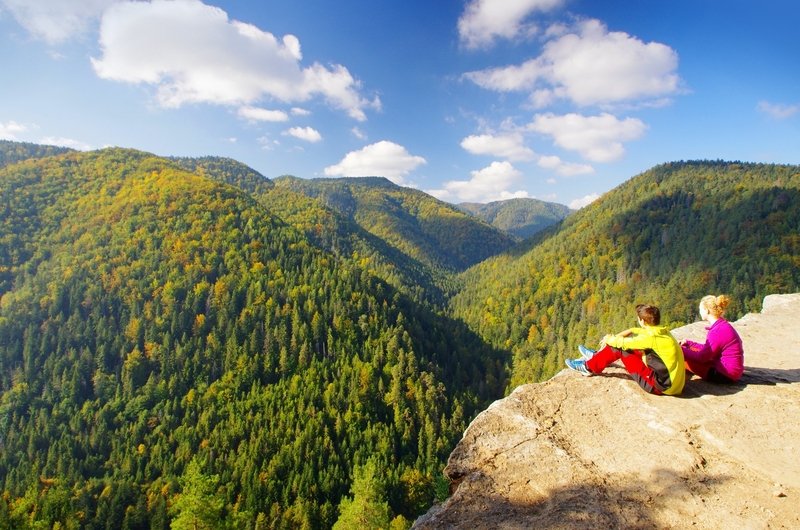 Hiking the Canyons of Slovak Paradise - Self-Guided is a small group tour that includes accommodation in a hotel as well as meals, transport and more. We loved this self-guided trip in the High Tatras of Slovakia. The accommodation was central and the planned itinerary interesting, including some beautiful walks with breathtaking scenery. DAY 1: Arrival in Levoca, Slovakia. DAY 2: Walking through the Prielom Hornadu Canyon to the ´Tomasovsky Vyhlad´ rock gallery viewpoint. DAY 3: Trekking through the Sucha Bela canyon via the ruins of a Courtesan monastery,´Klastorisko´. DAY 4: Hiking through the Piecky Canyon. DAY 5: Traverse Slovak Paradise to Dedinky Reservoir. DAY 6: Free day for optional activities and day tours. How do I get an invitation letter for my visa application? Once you have booked the tour, We will then send you joining instructions, detailed trip notes, together with the invitation letter for your visa application. Start and end in Levoca. TourRadar only requires a deposit of $99 to confirm this Slovakia Explorer booking. The remaining balance is then payable 60 days prior to the departure date. For any tour departing before 25 June 2019 the full payment of $636 is necessary. No additional cancellation fees! You can cancel the tour up to 60 days prior to the departure date and you will not need to pay the full amount of $636 for Hiking the Canyons of Slovak Paradise - Self-Guided, but the deposit of $99 is non-refundable. If you cancel via TourRadar the standard cancellation policy applies. Some departure dates and prices may vary and Slovakia Explorer will contact you with any discrepancies before your booking is confirmed. Covering a total distance of approx 48 km. TourRadar does not charge any additional cancellation fees. You can cancel the tour up to 60 days prior to the departure date. If you cancel your booking for Hiking the Canyons of Slovak Paradise - Self-Guided via TourRadar the standard cancellation policy applies.